(Seychelles News Agency) - The ruling party in Seychelles -- Lepep -- elected Vincent Meriton, the Seychelles' Vice President, as the new president of the party in their congress on Sunday. 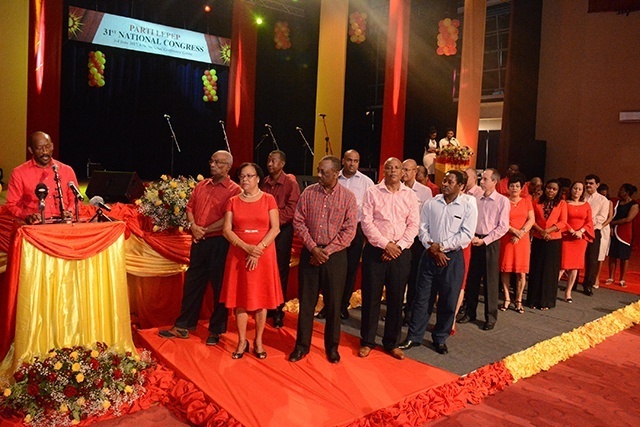 For the first time in the history of the party, the president of Seychelles is not the leader. 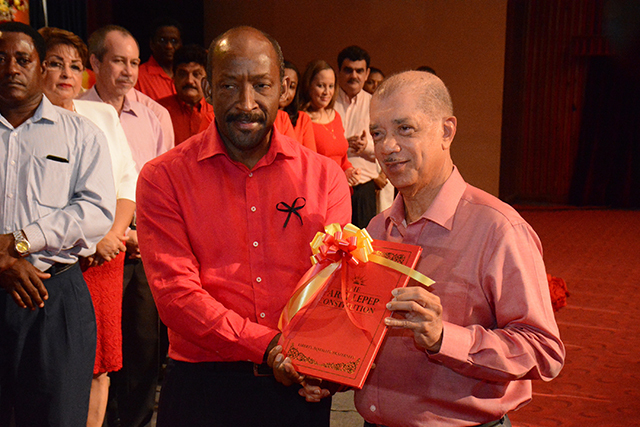 Meriton replaces James Michel, the former president of Seychelles who had decided to step down as the party leader in an extraordinary congress in April. Meriton, 56, becomes the third president of Parti Lepep since its creation in 1964 and has the task of revitalizing the party after their defeat in the legislative elections last September. The new president of Parti Lepep has recognised the hard work of the members in the National Assembly. "Our members will not be intimidated because they are more numerous on the other side, we are going to fight for the progress of our country in leading a bitter struggle," Meriton said in his address. For the first time since the return of multiparty politics in Seychelles, the majority of seats -- 19 out of the 33 seats in the National Assembly -- are from the opposition coalition Linyon Demokratik Seselwa (LDS), which puts the country in a position of cohabitation. 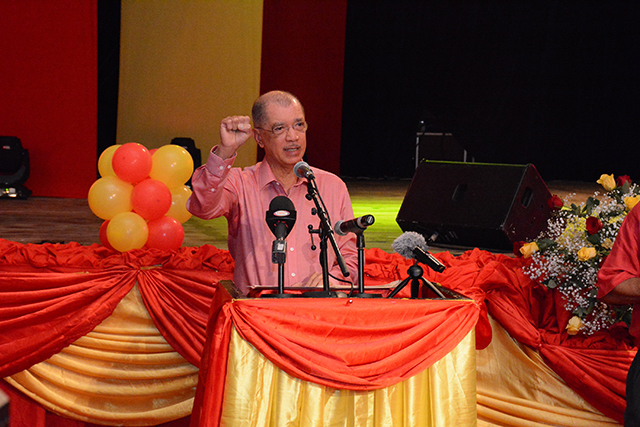 Last week the President of Seychelles Danny Faure, who was the secretary general of Parti Lepep, announced that he will not stand in the next election for the post of party president. "What we are saying, is that the head of State should not necessarily be the president of his political party. President Faure is the symbol of unity of the country,” said Merition adding that "Our mission is to provide our support with all means possible, because he is the president of every Seychellois." Parti Lepep has been in power since the coup d'état on June 5, 1977 and has won all the presidential and legislative elections since the return of the multi party in 1993. The party lost for the first time the elections held in September last year. "The opposition won a temporary victory, because they attacked us in a group... but this won't last," said Parti Lepep’s former president James Michel. "Everywhere where we go, there is the brand of the Party on it, all the progress the country has made has the brand of the party,” added Michel. In the post of secretary-general of Parti Lepep is MacSuzy Mondon, the Seychelles designated Minister and Minister of Local Government. Next year, Seychelles, an archipelago in the western Indian Ocean, will elect district boards. The next presidential election is due in 2020.